In my last post I talked about Fair Trade Month and a common theme in the comments was chocolate. This is not really a surprised but made me think a post all about Fair Trade chocolate was in order. The annual world consumption of cocoa beans averages around 600,000 tons per year. That's a lot of chocolate. Do you know where your chocolate comes from? Well, 70% of the world’s chocolate comes from the Ivory Coast where most of the chocolate is farmed using child and forced labor. Don't worry, thanks to Fair Trade you can have your chocolate and support fair labor. Fair Trade certified products ensure that the product is made using fair wages, fair labor, and is sustainable. 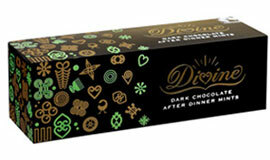 Here are a few of the great Fair Trade chocolate brands out there for you to try. 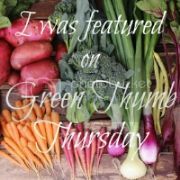 Other brands include Green & Black, Theo, and Sweet Earth Chocolates. Do you have other brands you like? If you haven't already tried Fair Trade chocolate are you going to now? 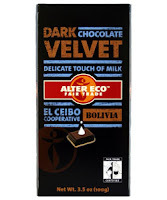 I have tried lots of fair trade chocolate and I have to say that I haven't yet found one that I love. :( They are all a bit too dark or rich for me. I'm a milk chocolate kind of girl. Any ideas? Check out reverse trick or treating at www.reversetrickortreating.org to find ways to spread awareness for fair and sustainable chocolate. Give fair chocolate back and teach your children the value of believing in a better tomorrow. There is a free download of a flier you can give too. I believe Equal Exchange makes a milk chocolate. Haven't tried it cuz I live for the dark, but they have very good chocolate. I've also heard that no organic cacao is grown on the Ivory Coast, so if you buy organic (in the absence of a fair trade option) it's better since that is where the labor conditions are the worst. I don't know that with absolute certainty, and I can't remember where I heard it so I can't quote sources. Does anyone else know more about that? Equal Exchange does in fact make a milk chocolate (I find it delicious!) and I think Green & Black's might too. Thanks for feeding my habit, everyone! :) I'll look for Equal Exchange. I totally needed this post. Thank you for all the suggestions, Retro Housewife and others. Luckily, I'm partial to dark chocolate, so it seems that I will have plenty of options! Green Bean: Divine is my favorite milk chocolate bar. Green & Black is another option that is easier to find, it's good but I don't like it as much as Divine. Melanie: LOVE Reverse Trick or Treating. I wish I had known about it as a kid, I so would have loved doing that. And yes I think Equal Exchange also has a milk chocolate bar. Eria: Theo is awesome. I haven't had much of it because it's hard to find around here but it is a cool brand. Kate: I haven't heard that but sadly even if it's not from the Ivory Coast chances are high that it is still unethical. Julia: I know less about that certification but my understanding is that it's more on the sustainable side and less on the human rights. But if that's all you can find it's far better than nothing for sure! 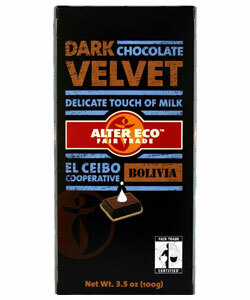 Betsy: Yes dark chocolate is easier to find in Fair Trade so you are in luck. I'm not a big dark chocolate fan so I'm not as much help in this area haha. Whoa, my word verification is condo? A real word?